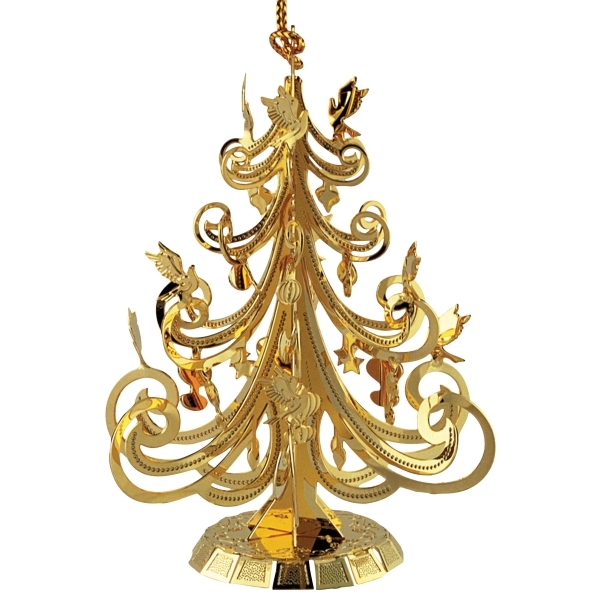 In the design of a Christmas tree, this lovely handcrafted brass Christmas tree ornament is one of the most beautiful that we have to offer. It is delicately hand tooled by expert crafts people and finished in 24kt gold. It is an ornament to treasure!